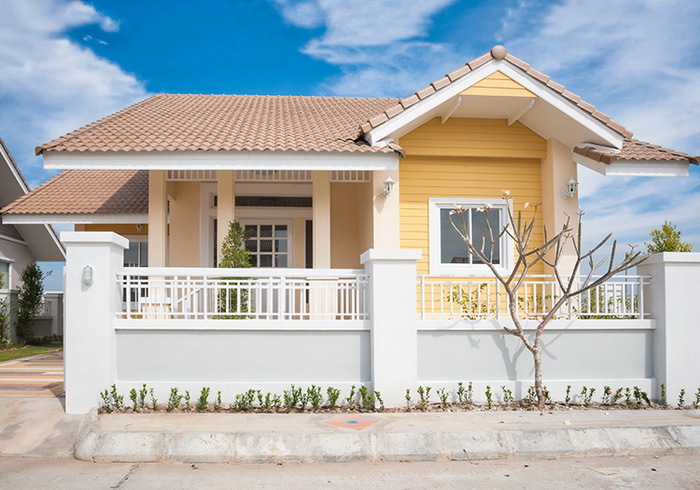 Everyone has a dream house that you want to live for a long period of time. 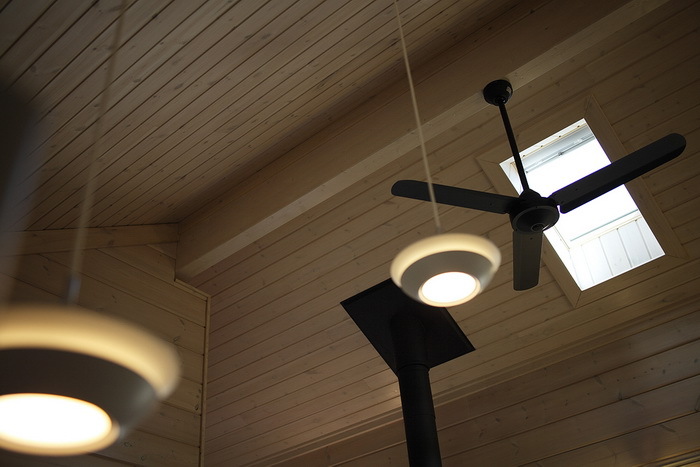 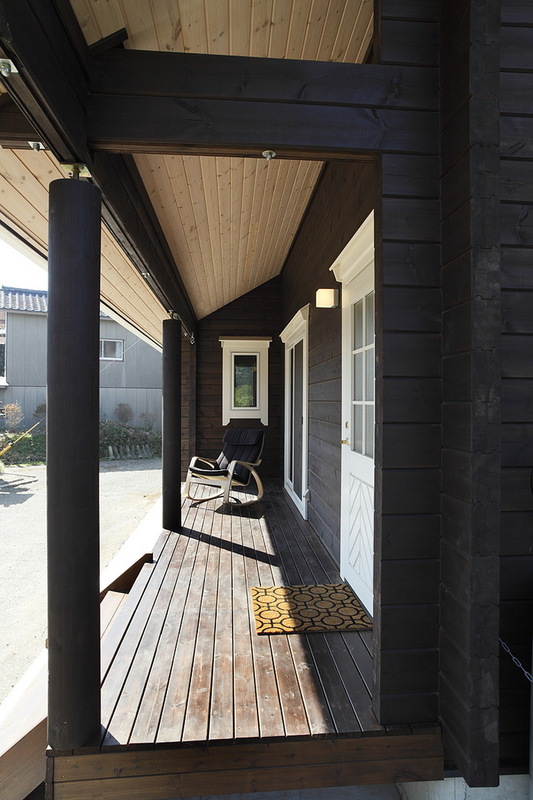 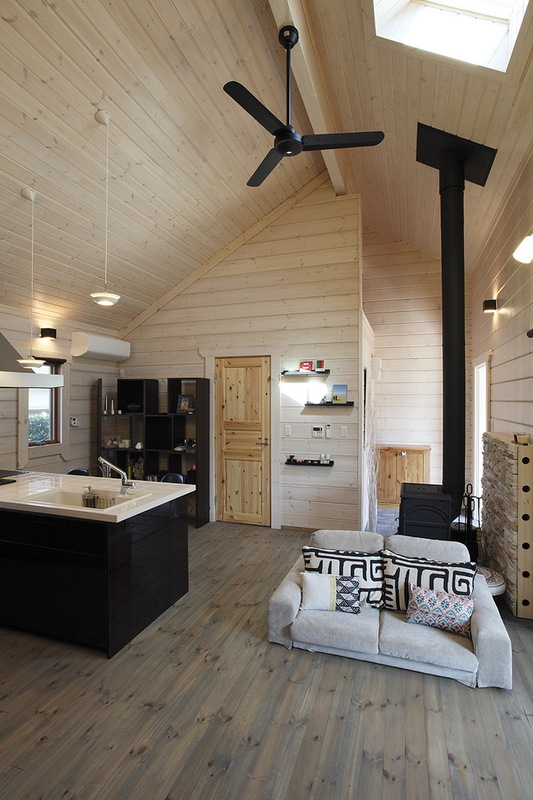 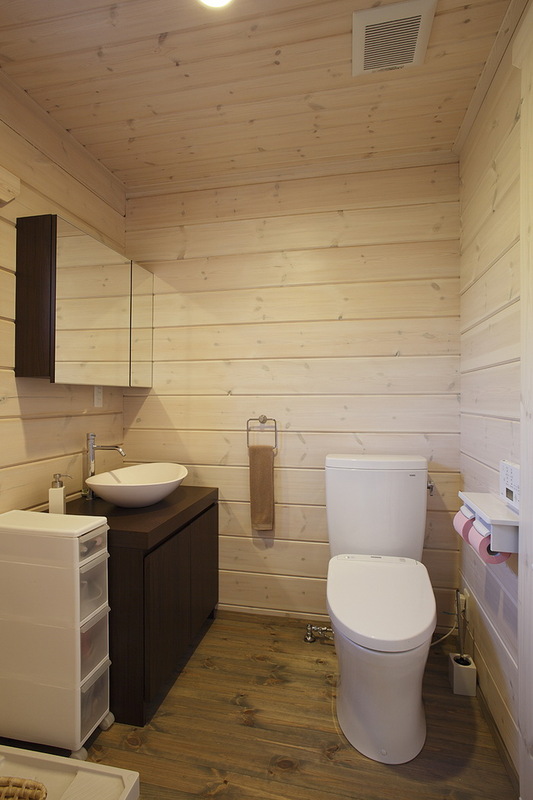 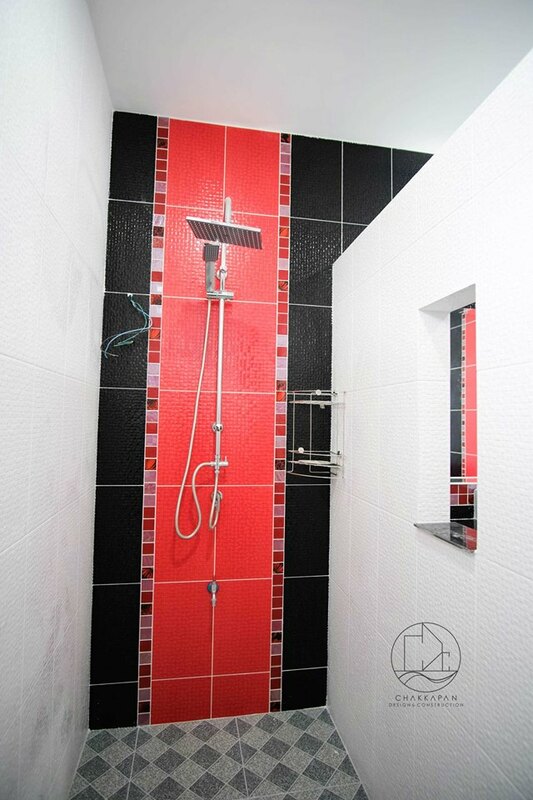 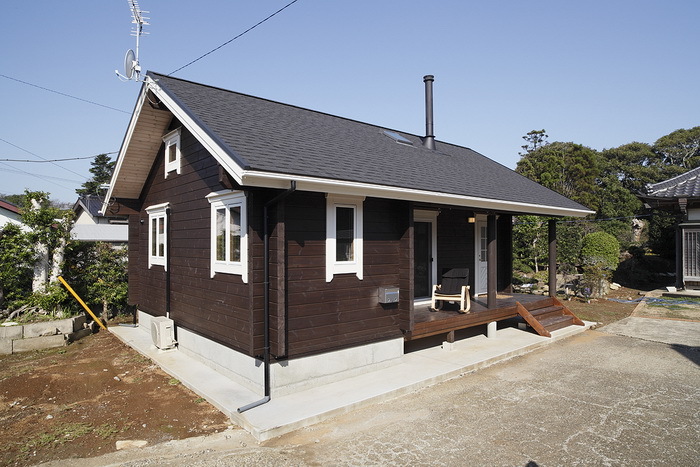 Today, there are different types of house design to choose from. 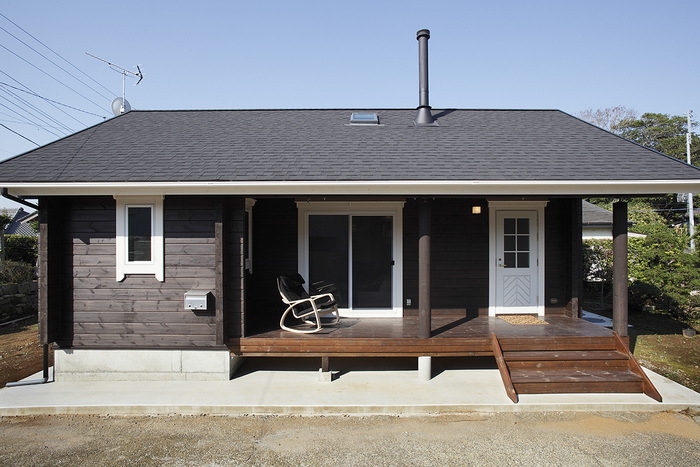 The one option is a single-storey house. 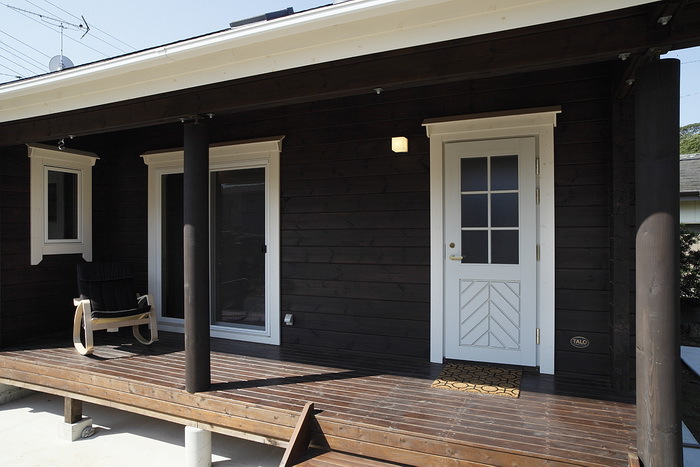 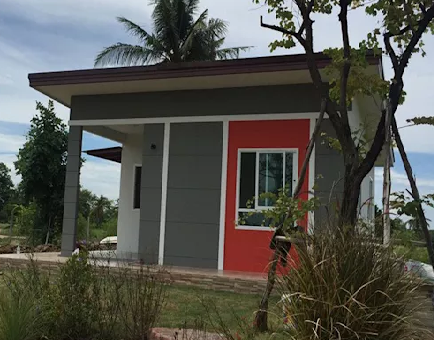 This type of house is very practical to build because it’s less expensive than the two-storied houses. 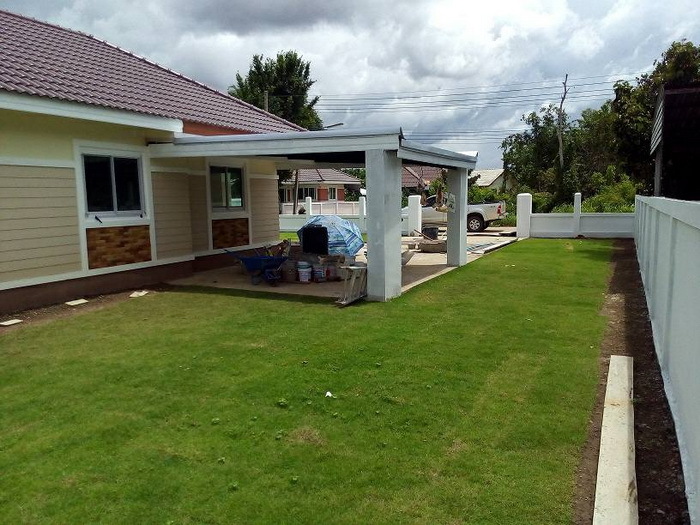 The size of the plot is an important aspect to build a house today. 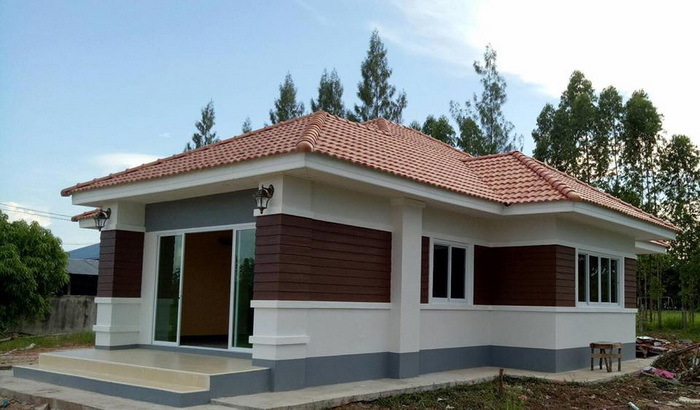 Even though the size of the land is limited, you can have a beautiful, nice and comfortable home if you have an architect to help design your house. 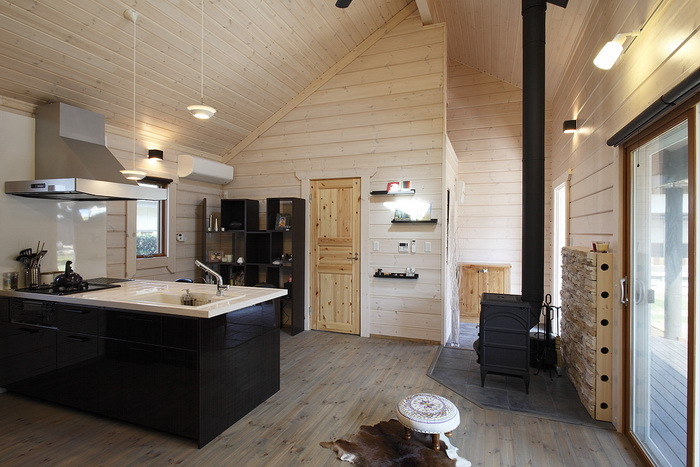 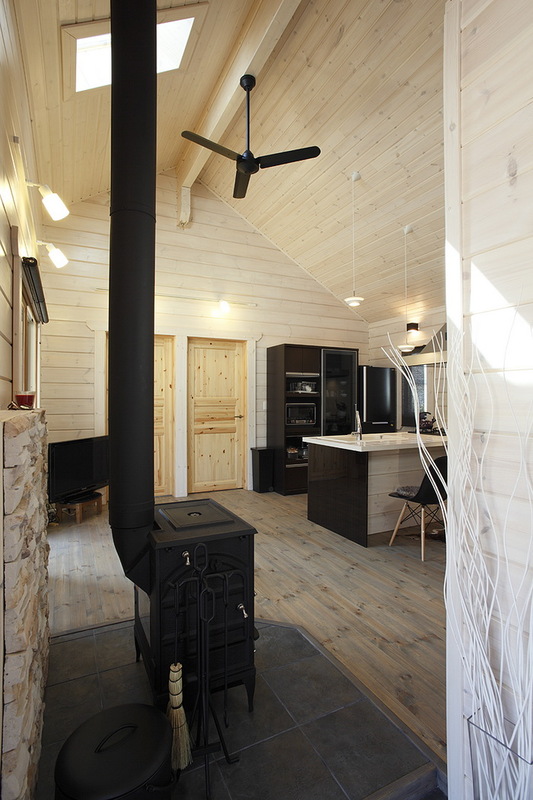 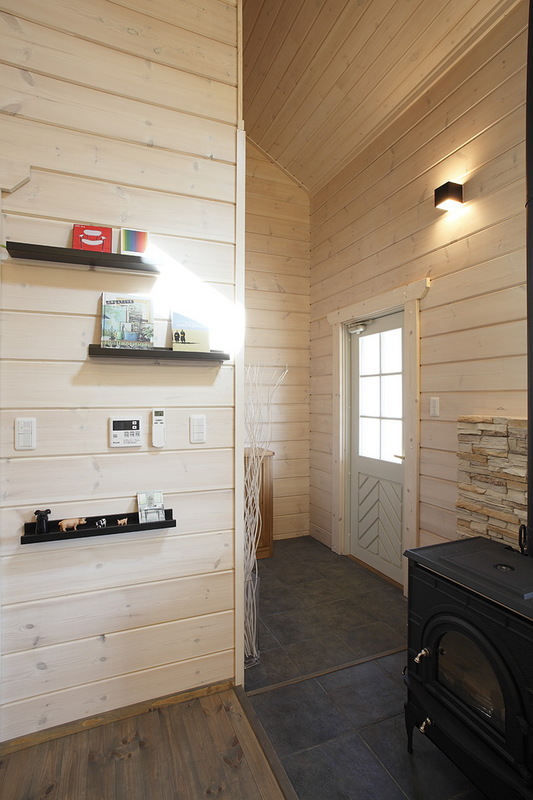 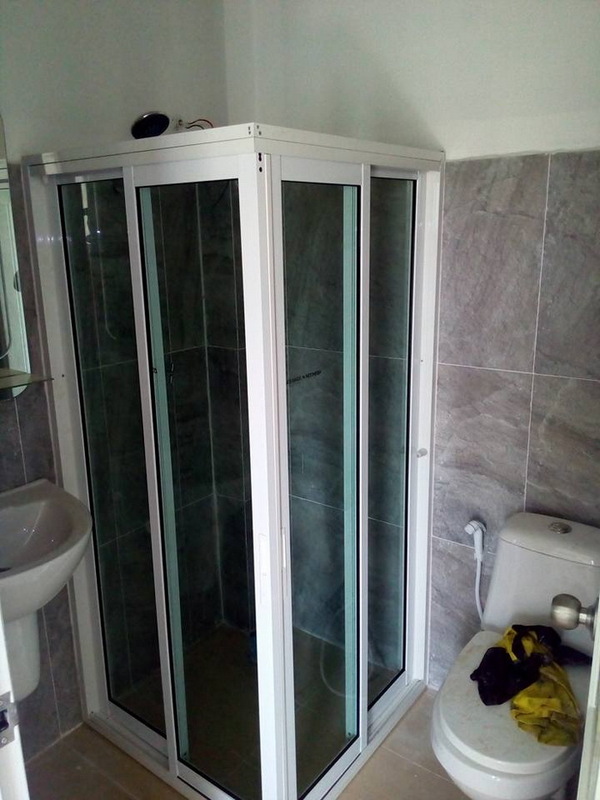 In addition to simplicity and comfort in the construction. 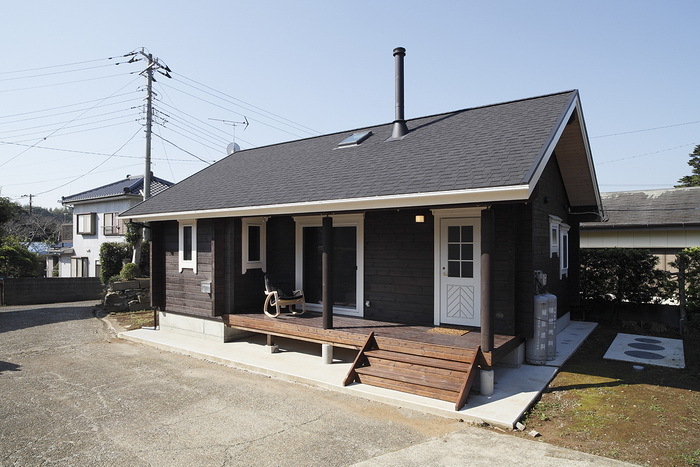 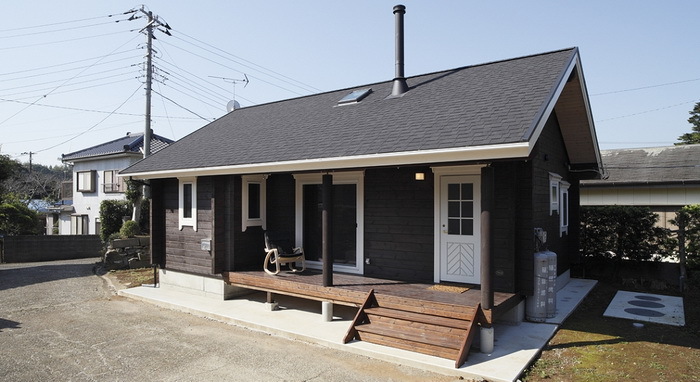 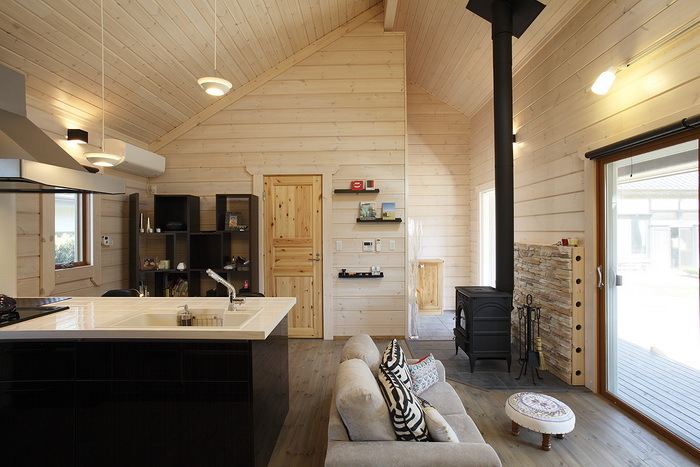 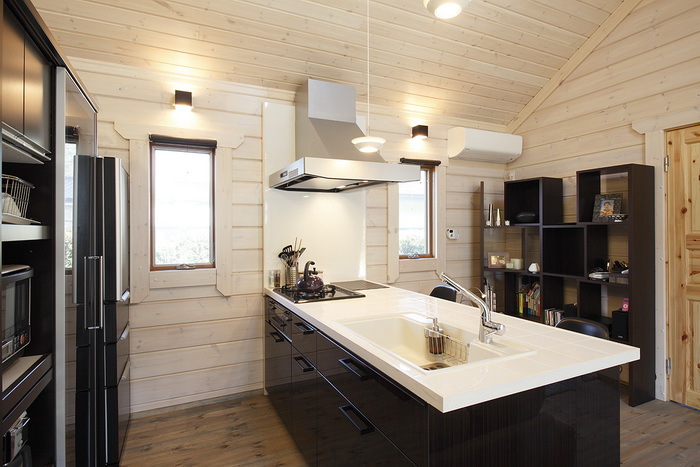 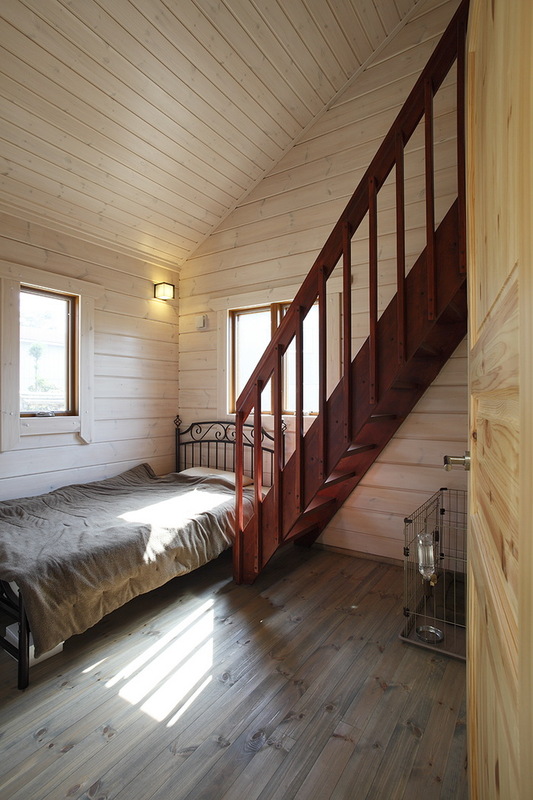 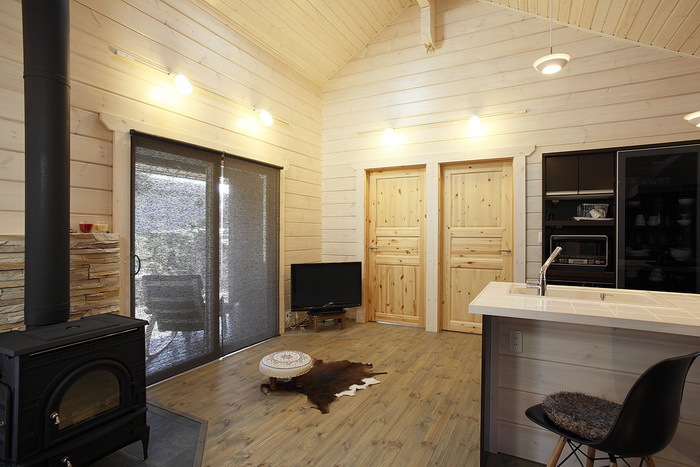 The house is not different from the two-storey house. 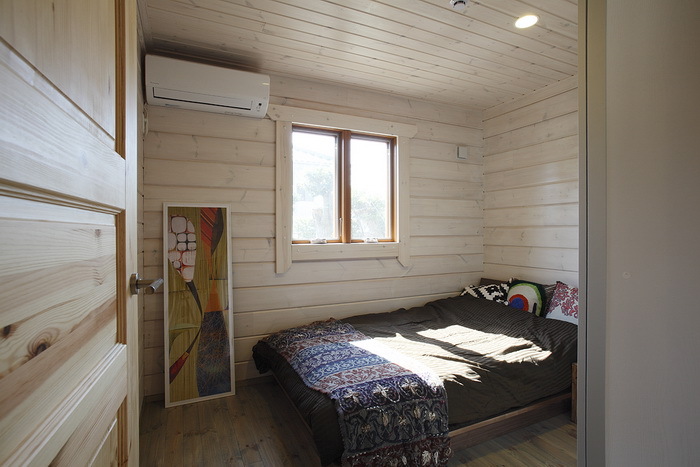 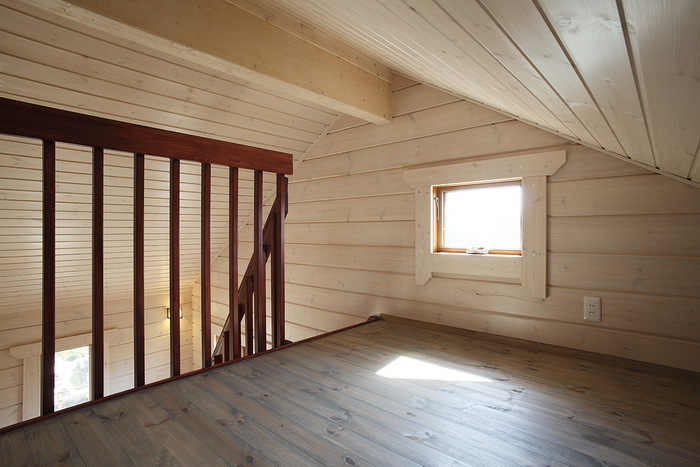 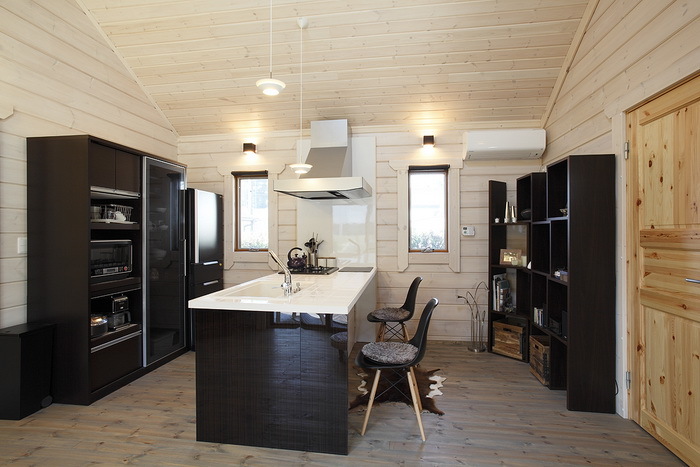 It is also convenient to live because each corner of the room is joined together. 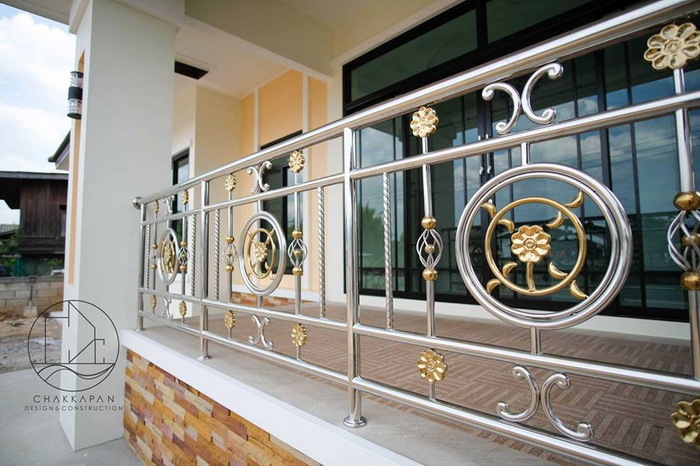 It is also suitable and safe for people who are old. 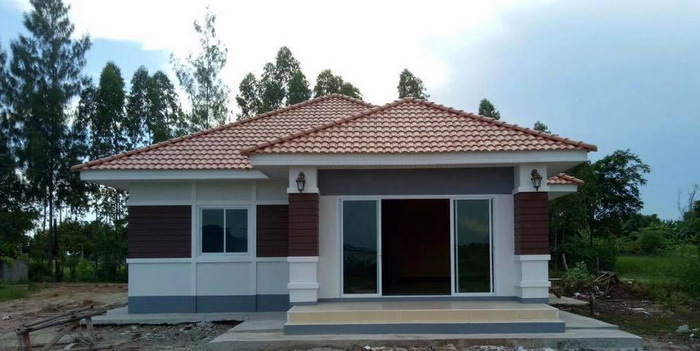 For anyone who is looking for a design or idea to build these houses please consider the designs below. 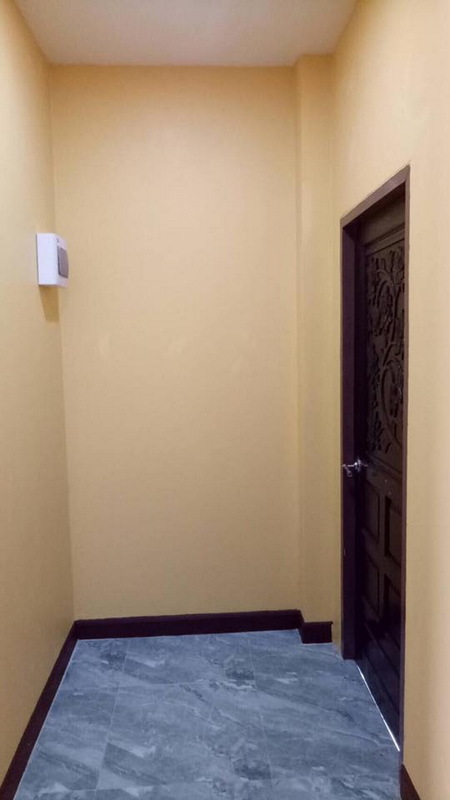 Let's start with the first one. 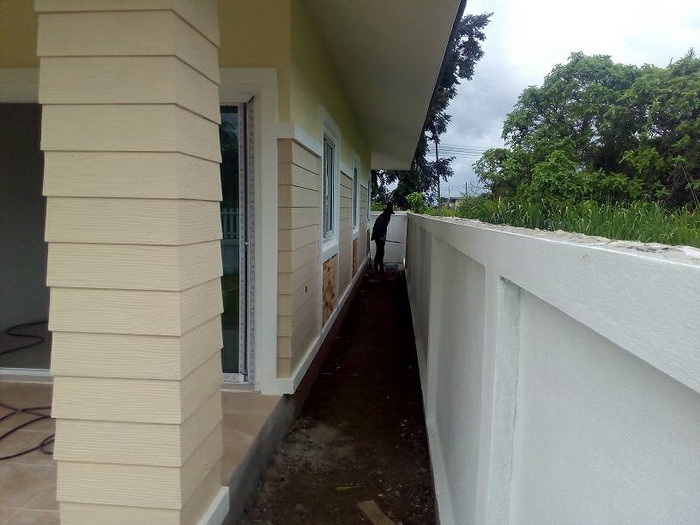 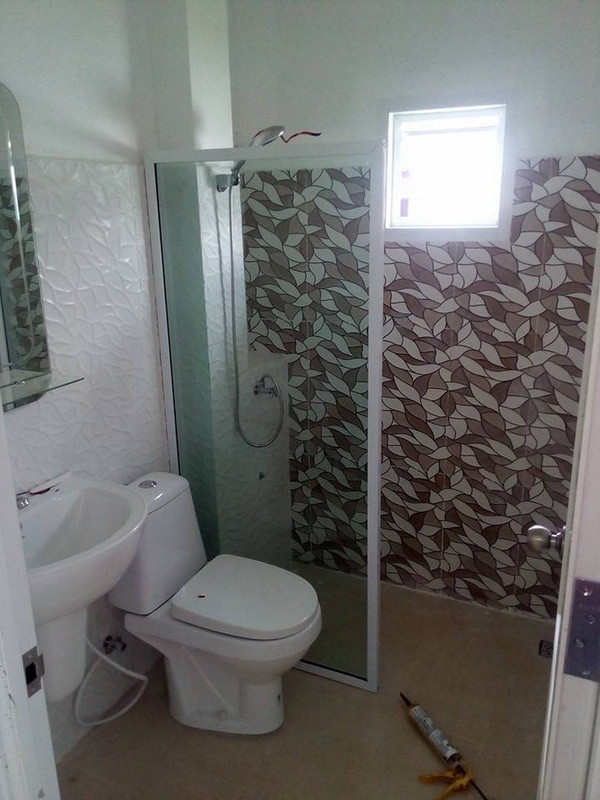 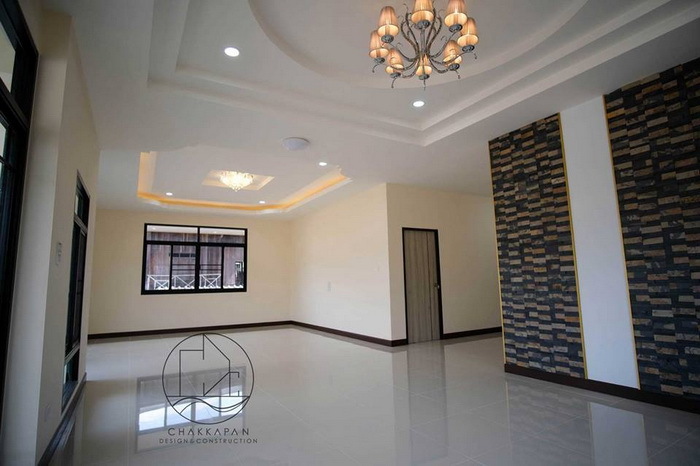 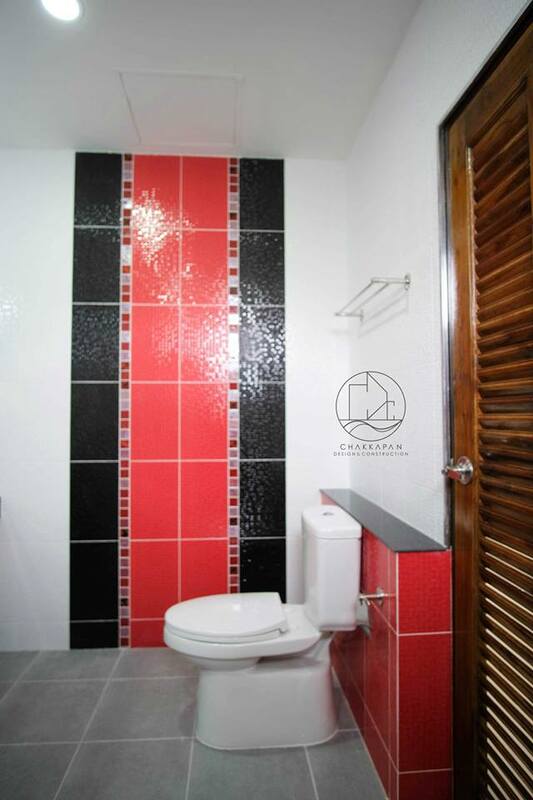 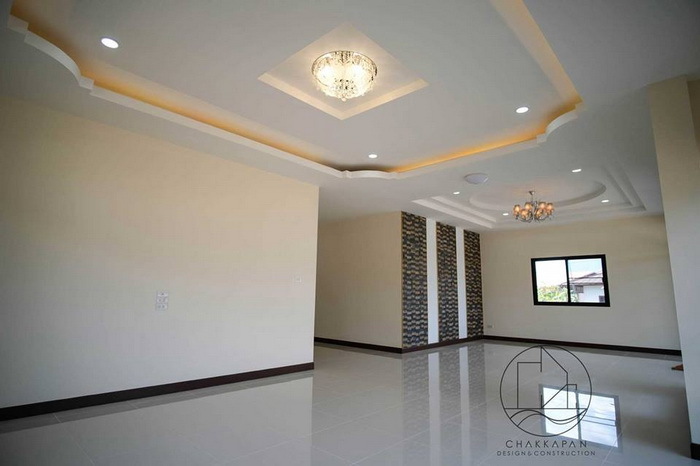 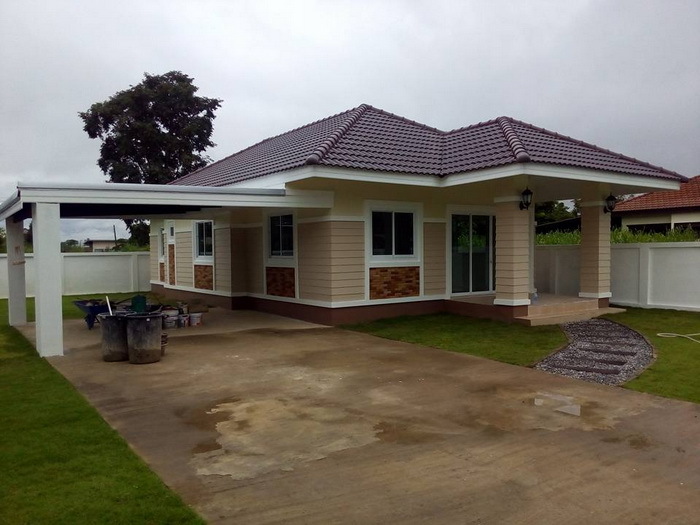 The contemporary single-storey house consists of 3 bedrooms, 2 bathrooms, kitchen, living room and a central hall. 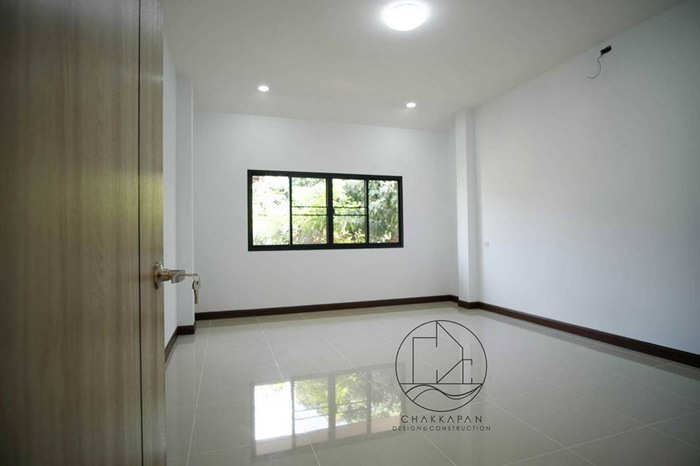 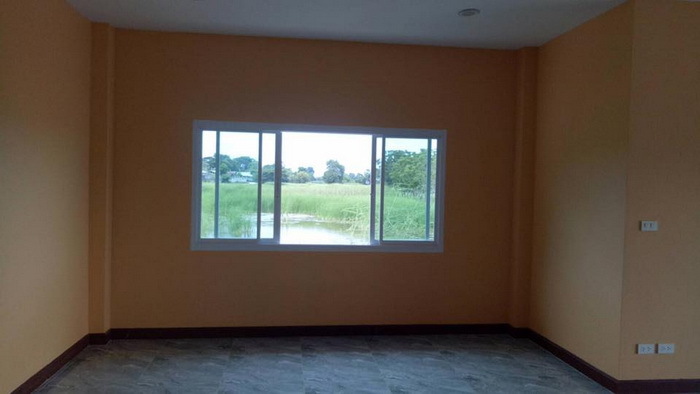 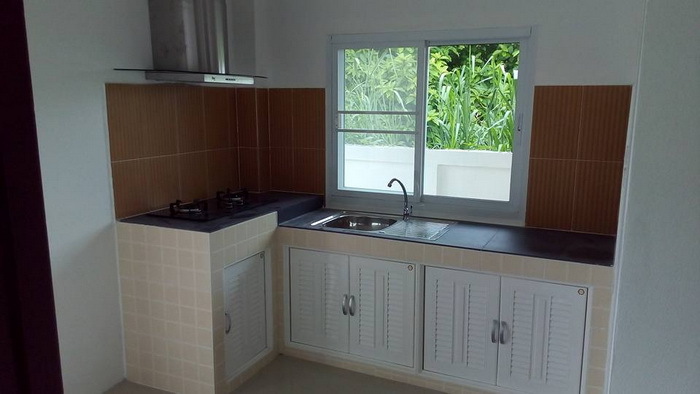 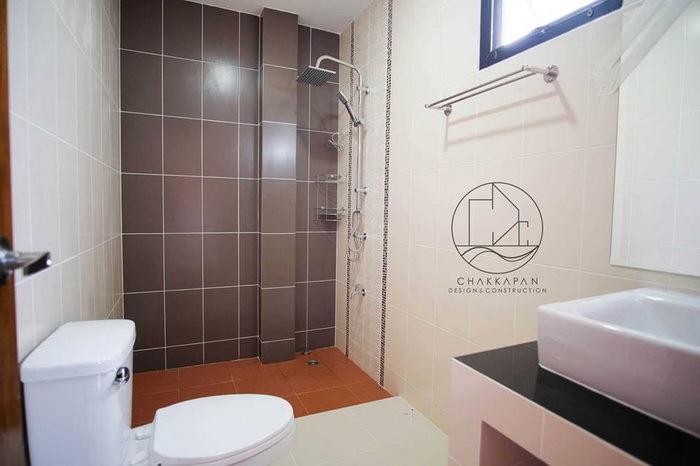 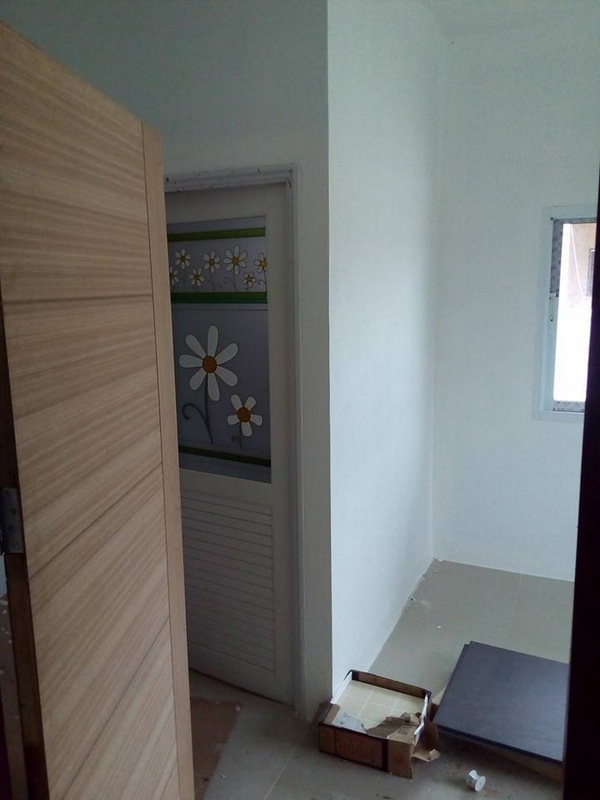 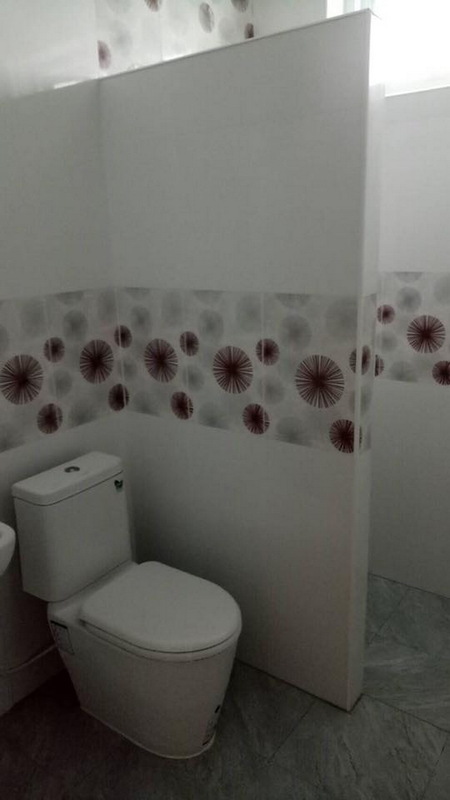 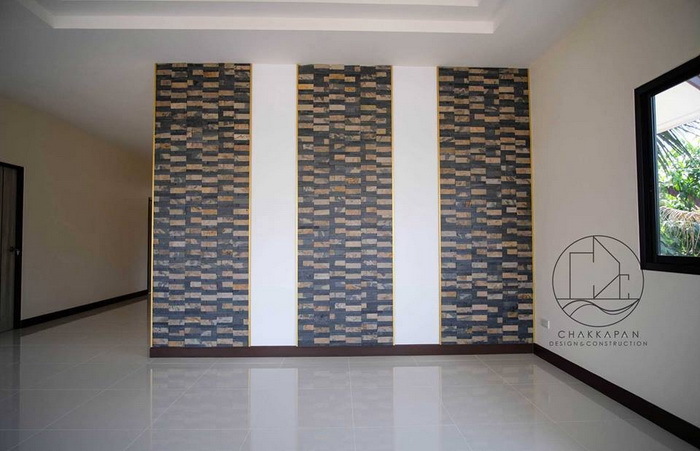 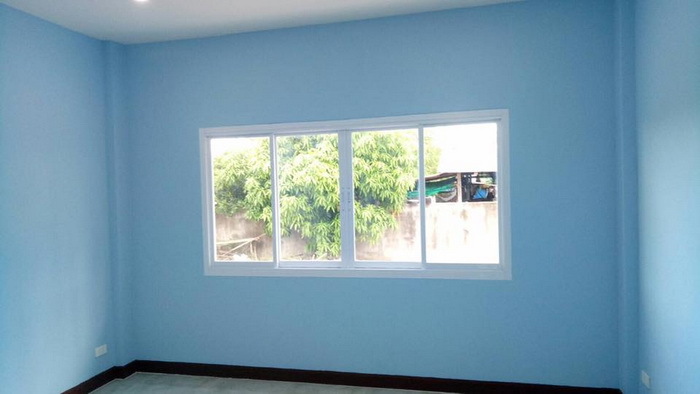 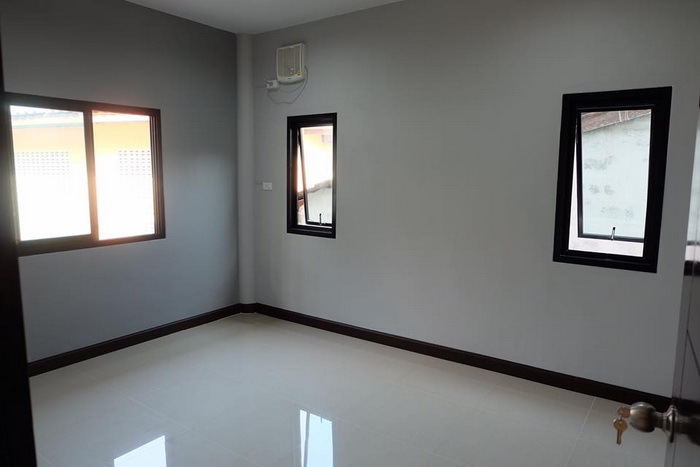 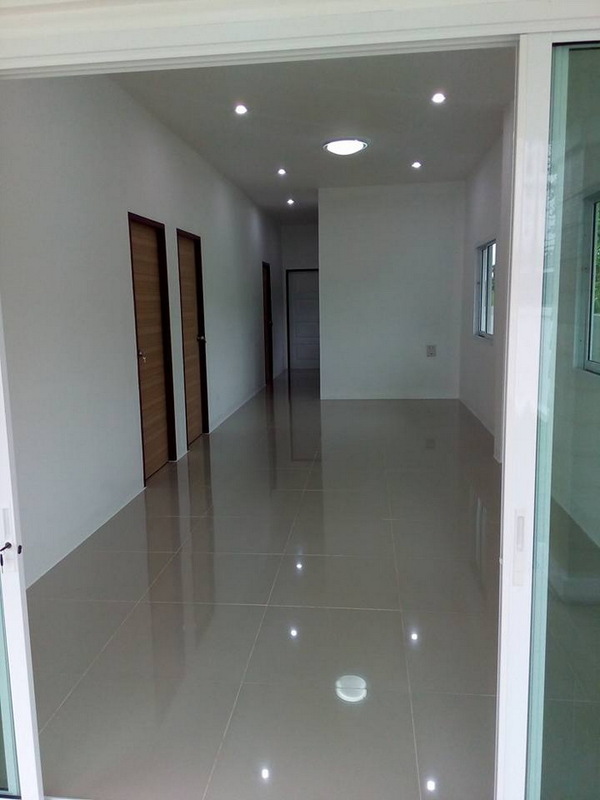 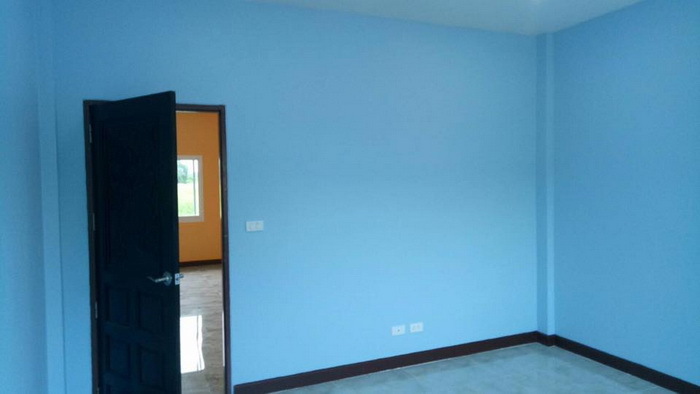 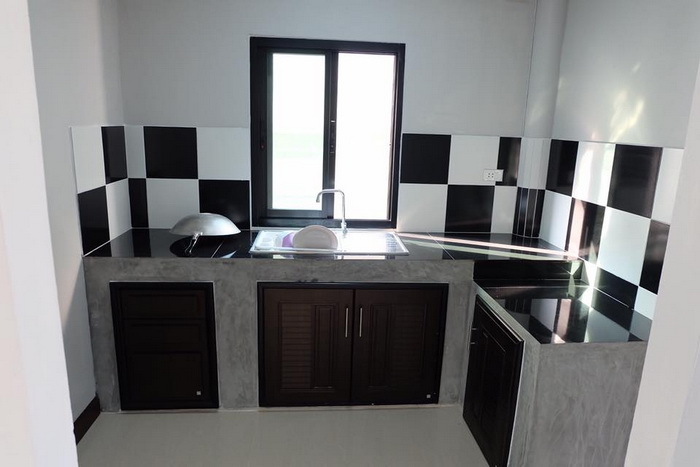 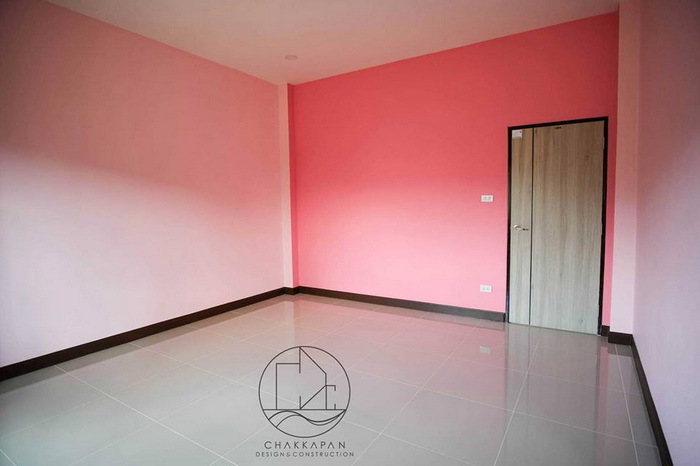 Usable area is 154 square meters, with a budget of 1.45 million baht or 43,600 US Dollars. 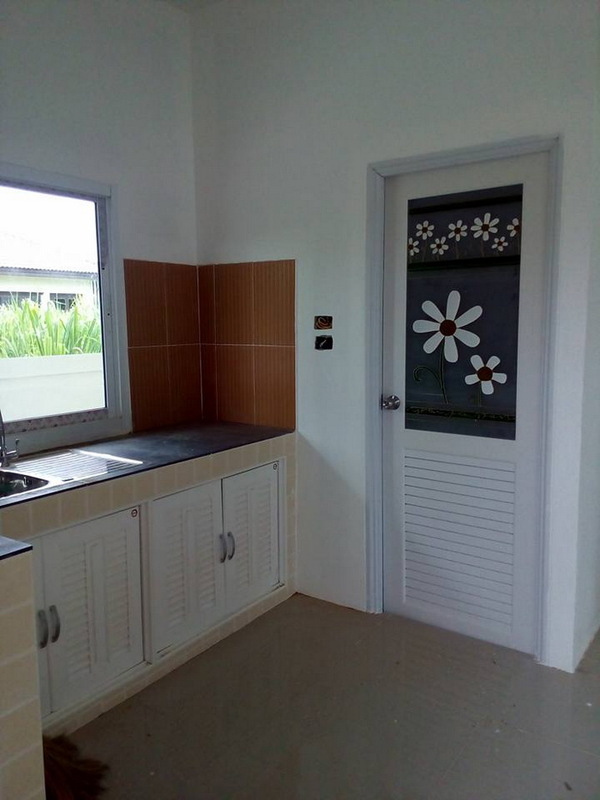 The house has an area of 59 square meters, comprising of 2 bedrooms, 1 bathroom, kitchen, living room, a central room and a terrace. 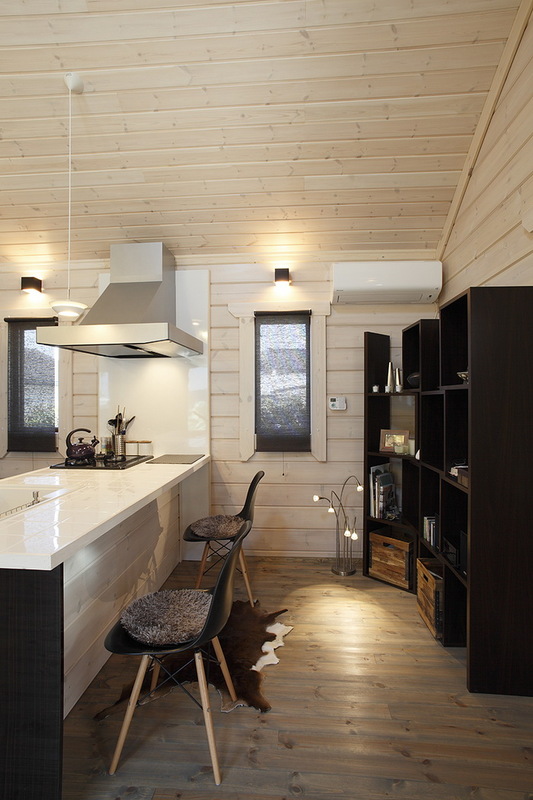 The house consists of 3 bedrooms, 2 bathrooms, a kitchen and a living room with 100 square meters of living space. 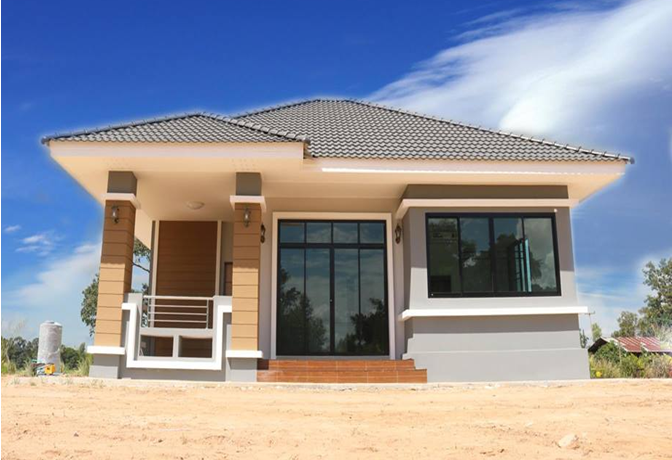 The budget is 890,000 baht or 26,700 US Dollars. 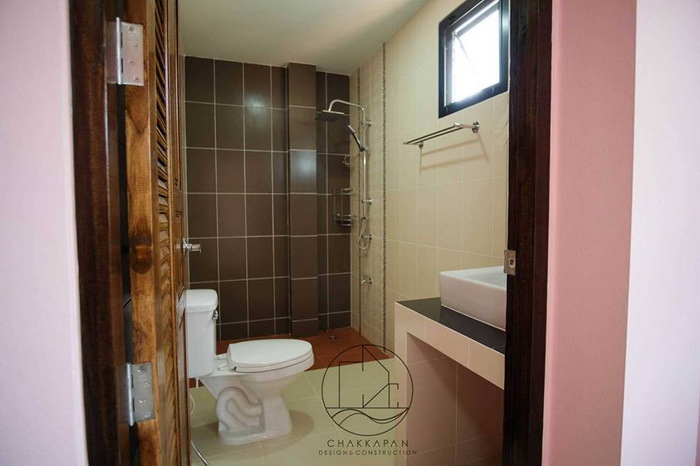 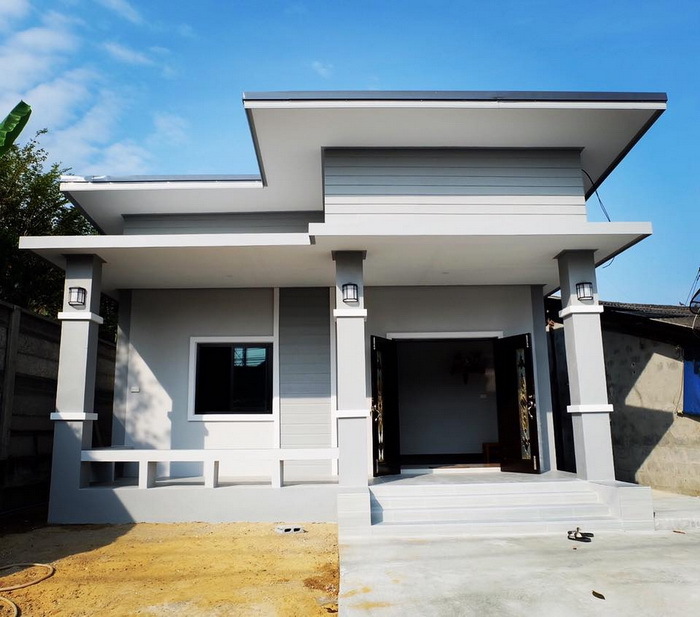 The house consists of 3 bedrooms, 2 bathrooms, a kitchen and a living room with a budget of 1.28 million baht or 34,500 US Dollars. 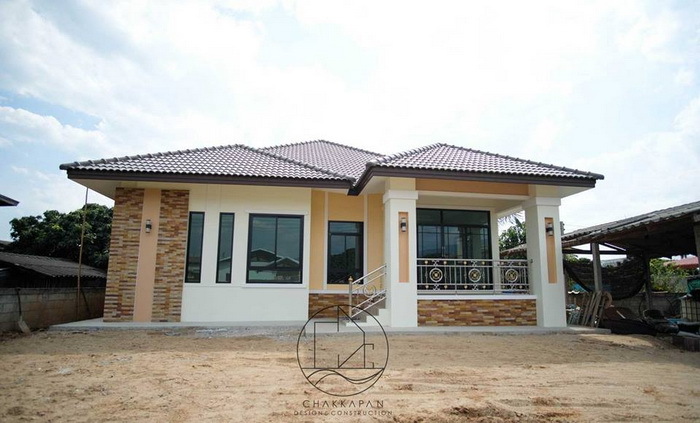 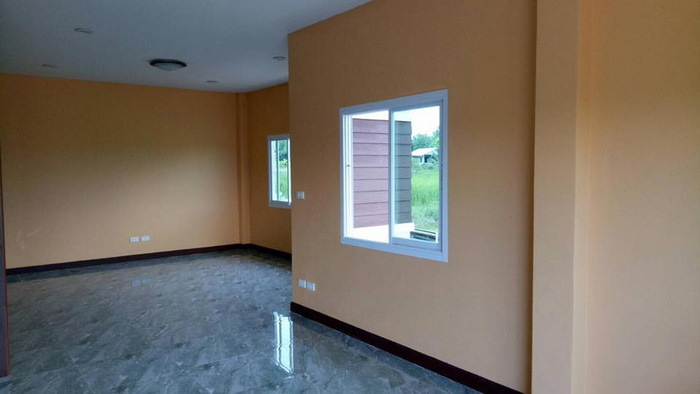 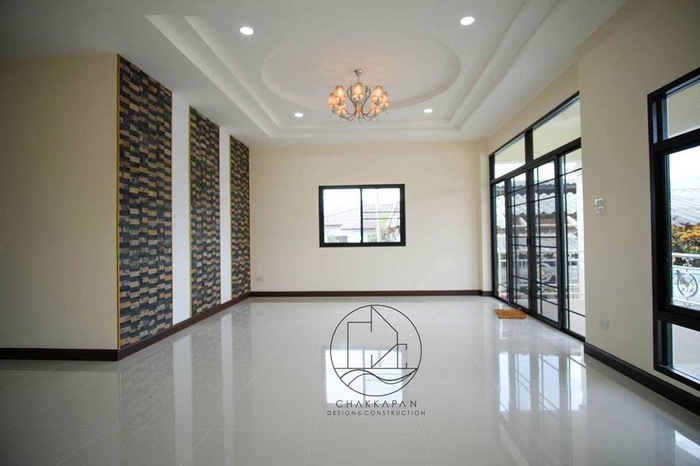 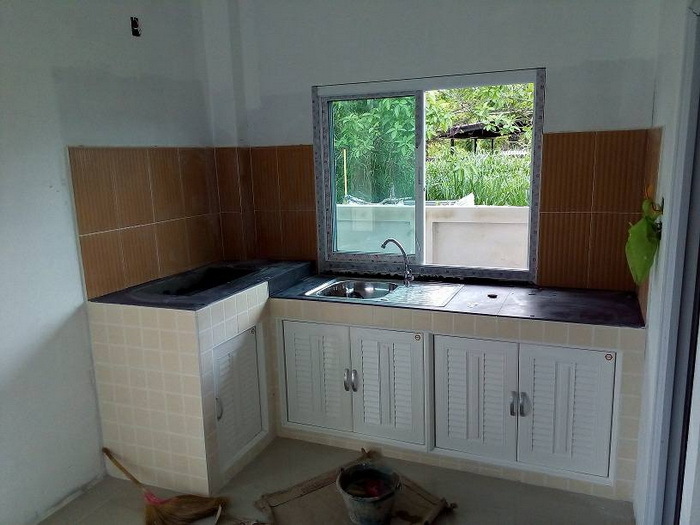 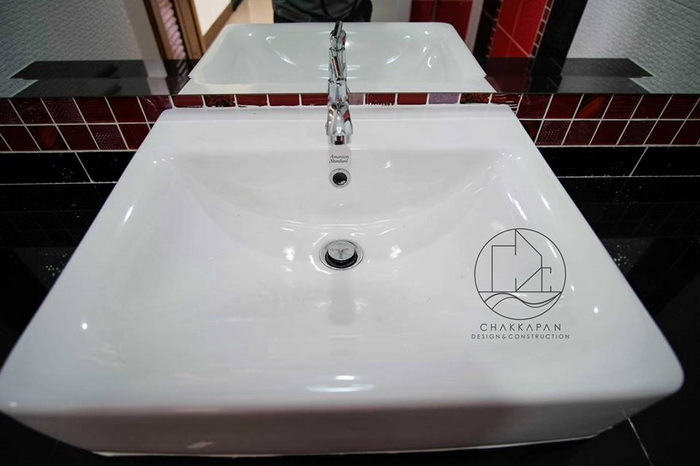 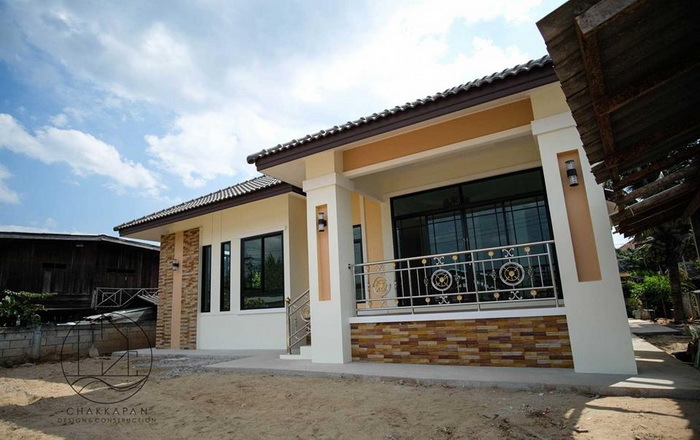 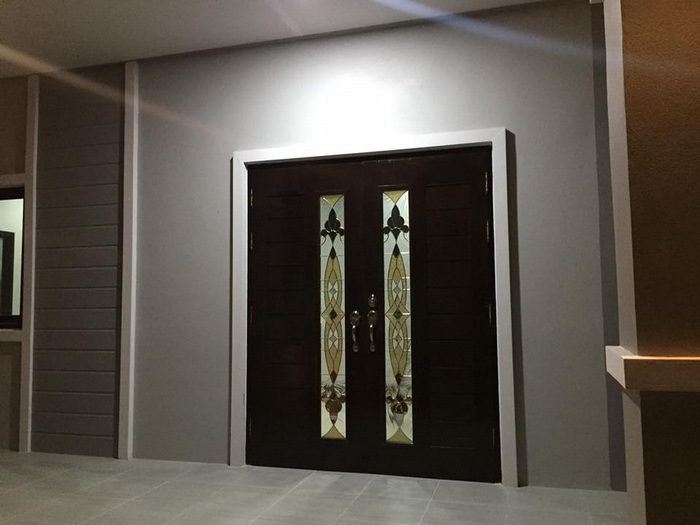 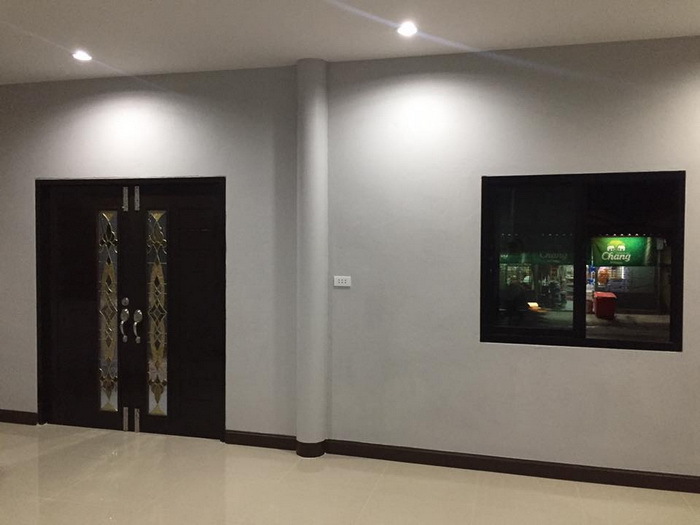 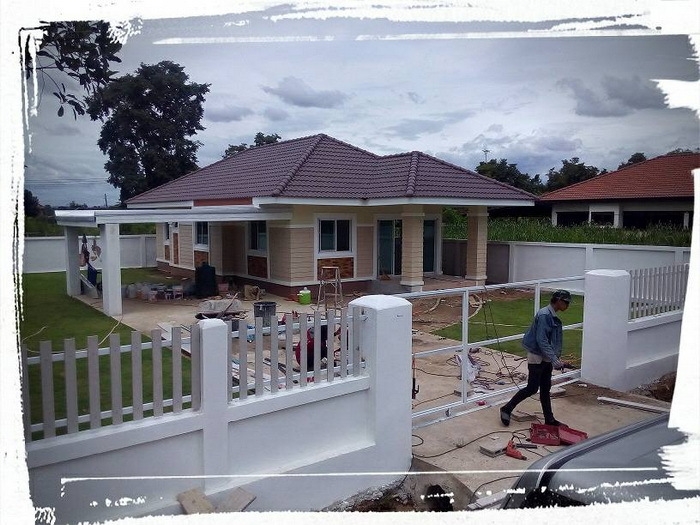 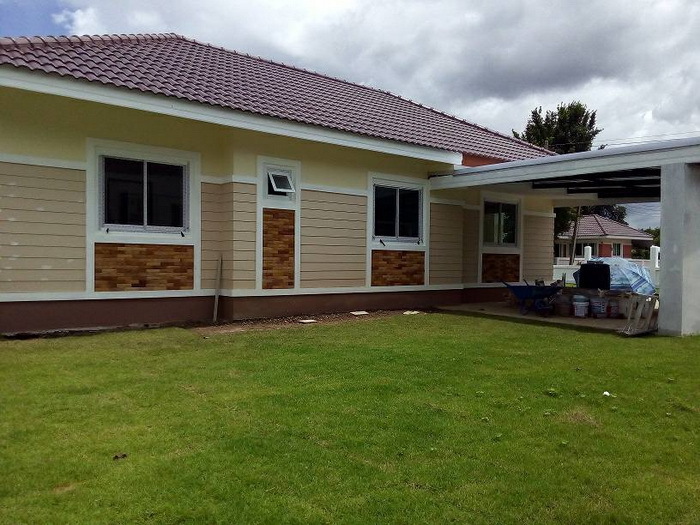 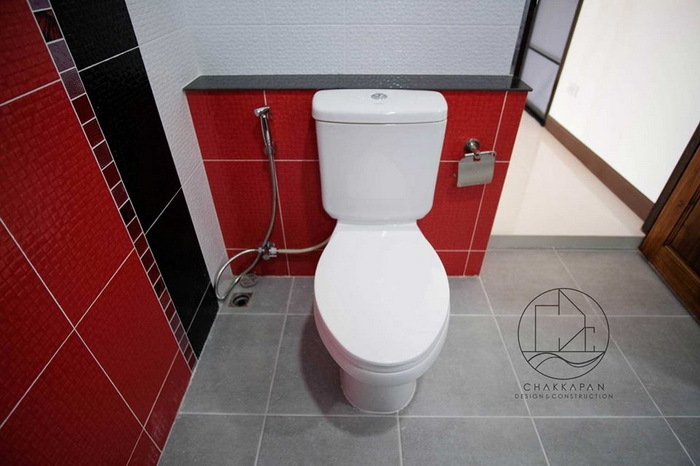 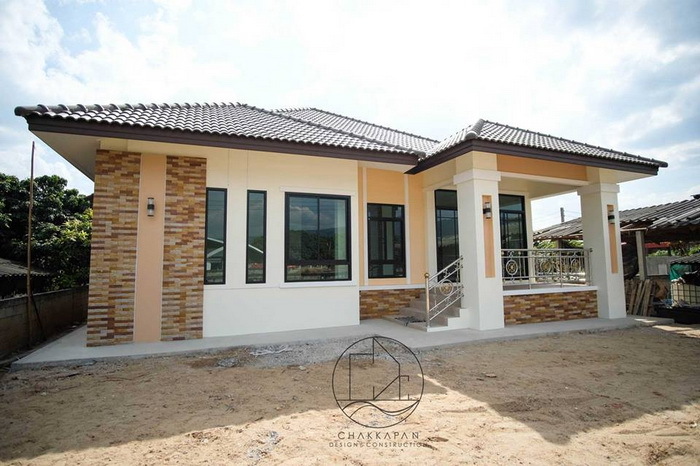 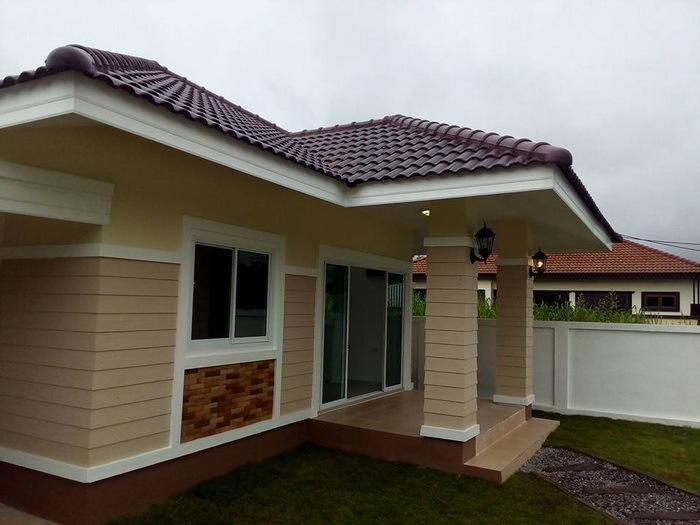 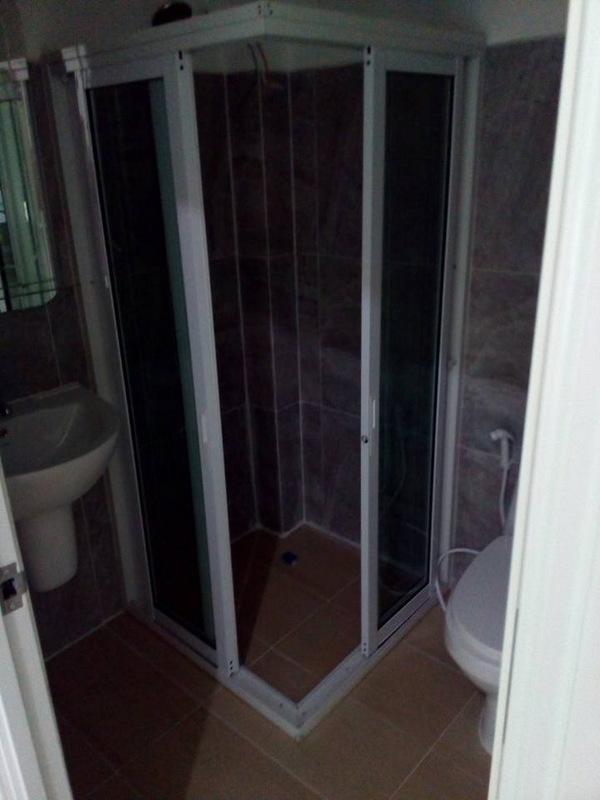 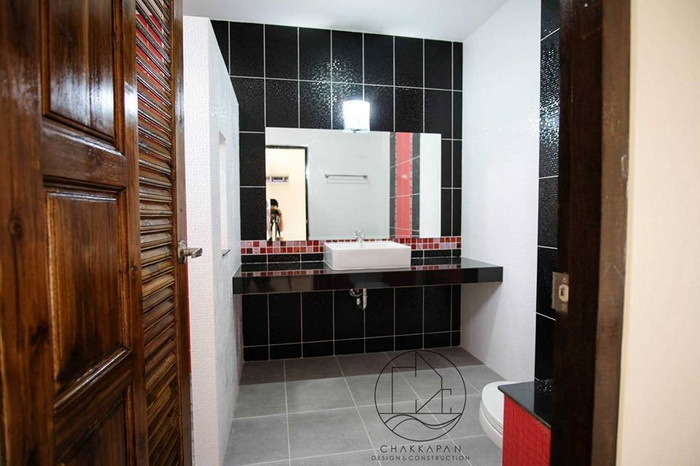 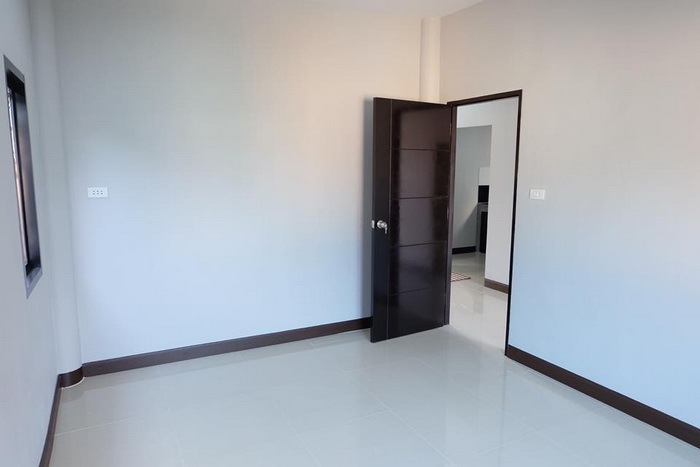 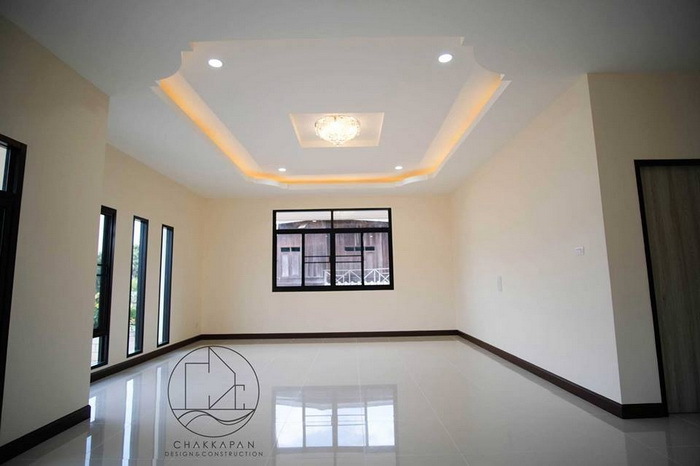 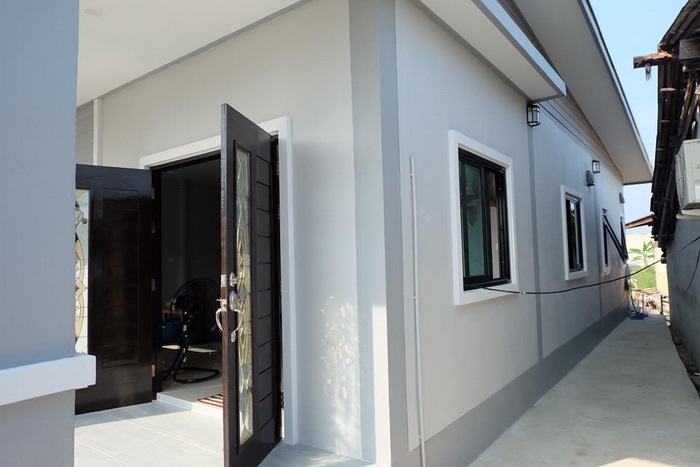 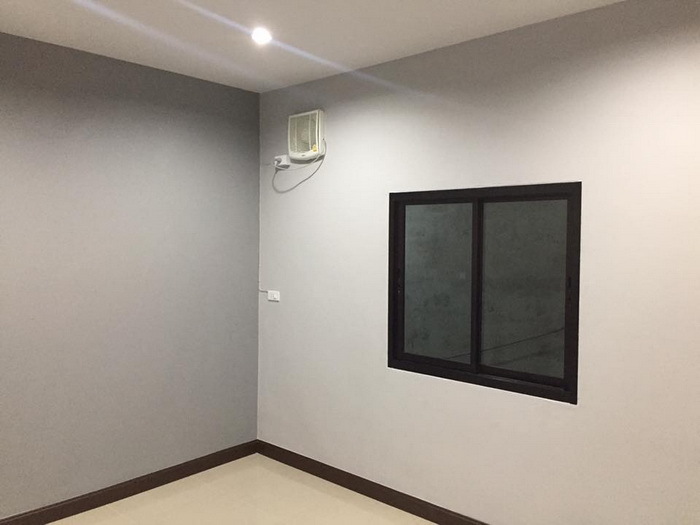 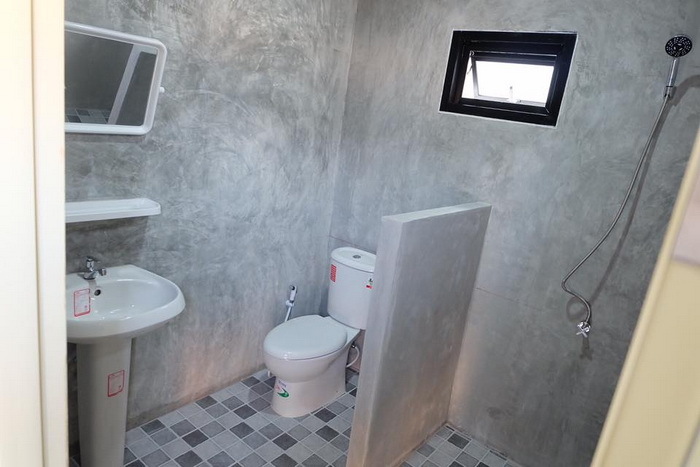 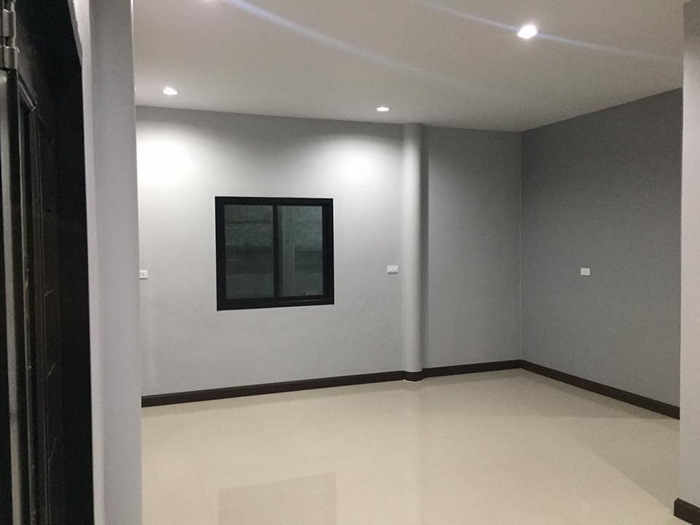 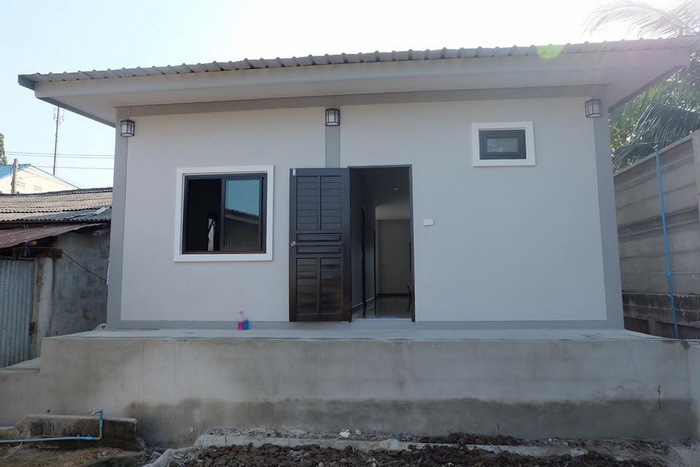 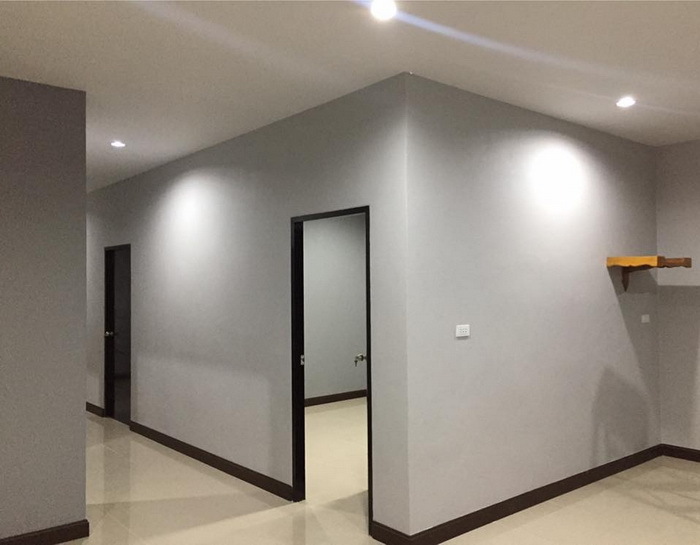 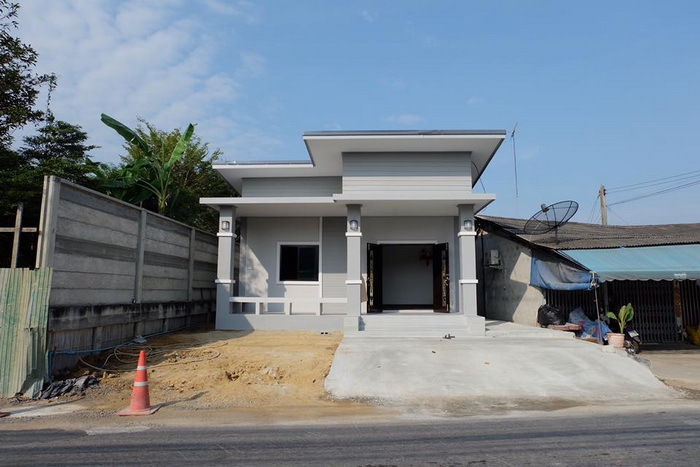 The house consists of 2 bedrooms, 2 bathrooms, 1 kitchen, 1 living room, 84 square meters of living space, and a construction cost of 700,000 Baht or 21,000 US Dollars.